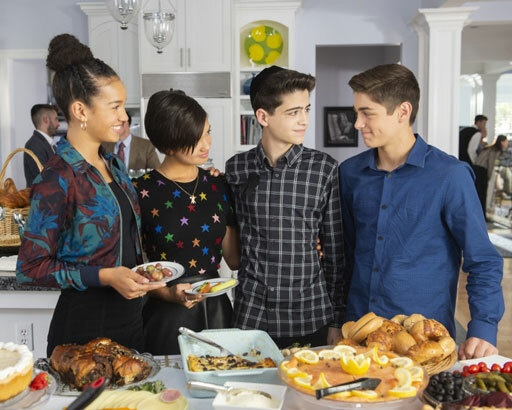 The Randy Report: Disney Channel Has Its First Character To Say The Words "I'm Gay"
Disney Channel Has Its First Character To Say The Words "I'm Gay"
In 2017, the popular Disney Channel series Andi Mack announced the show would feature a gay story arc - a first for the channel. 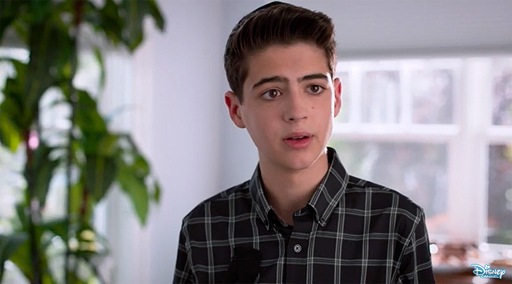 More history was made yesterday when the character of Cyrus Goodman (played by Joshua Rush) became the first Disney character to ever say the words, "I'm gay." In the episode titled, “One in a Minyan,” the show’s principal characters are at the shiva of Goodman’s grandmother. Helping to explain some of the Jewish dishes at the buffet, Goodman points out kuegel, bagels and lox, and gefilte fish before ending his list by telling the character of Jonah Beck, his former crush, "I'm gay." And, life went on - just as it should. The writer of the episode, Jonathan Hurwitz, wrote in a guest post for GLAAD that the inspiration for the moment came from his own coming out process back in 2010 with a college friend. While grabbing burgers one afternoon, he asked me to pass the ketchup, so I handed him the bottle while mumbling the words, “I’m gay.” He looked up at me, said “Cool,” then proceeded to put ketchup on his burger as if I hadn’t just revealed my most personal, deepest truth. I remember thinking: “That’s it?! After a ten-year journey to come out to myself, I finally come out to my friend and all I get is a ‘Cool? !’” But what I ultimately realized was that my friends and family loved me unconditionally before I’d even learned to truly love myself.